St. Petersburg is the second largest city after Moscow and has much to do and see. While travel to this historic city may not fit on your agenda currently, it does not mean you cannot peek at what this city has to offer. The St. Petersburg live cam lets you view the sights of this city without ever leaving home! This one-time capital city (1712-1918) is a feast for the eyes. Located on the Neva river it offers panoramic views. From the amazing architecture to the inspirational cathedrals, this city lacks in nothing. It is one of the most visually attractive cities in the world. Many visitors have commented that the view of St. Petersburg puts Paris and other world-renowned cities to shame. This city has a rich culture and is chockful history. It was the home of Russian Empire for 200 years. Stunning examples of art, sculptures and more are on display everywhere you look. This city is rife with luxurious palaces. It is the unofficial capital of Russia’s cultural scene. There are over 800 canals and waterways that run through the city giving it the moniker of Venice of the North. 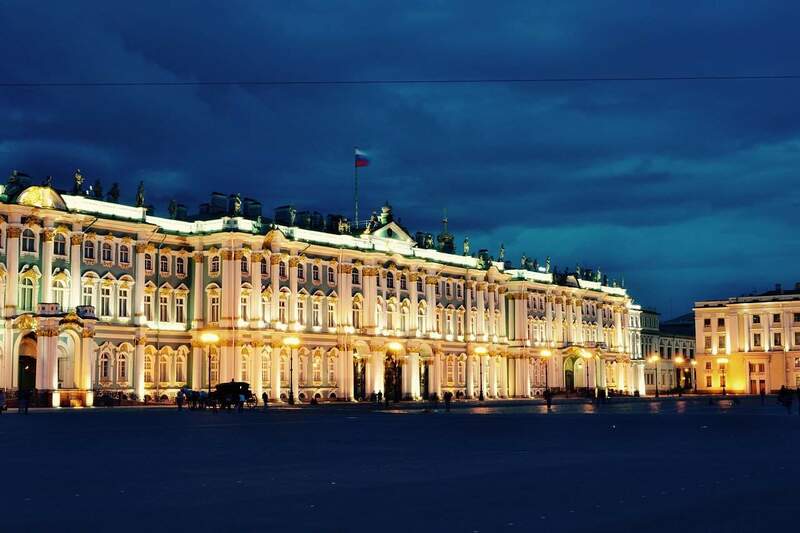 Thanks to its northerly location, St. Petersburg enjoys a “white nights” season that runs from June 11 to July 2. During the white night season when there is 19 hours of daylight, the city comes to life with festivals and events celebrating the extended hours of daylight. The theaters, the caviar bar, the museums are all noteworthy in this Russian mecca. It is a rare jewel that is often overlooked by western travelers, but it absolutely should not be. Sit back, relax and enjoy the view with the St. Petersburg cams. Main Attractions: Church of the Savior of Spilled Blood, Hermitage Museum, Winter Palace, Peterhof Palace, St. Isaac Cathedral, Peter and Paul Cathedral, Mariinsky Theater, Faberge Museum, The Canal Tour and so much more!